Of all the decisions we have to make as parents, choosing a good car seat for our child is one of the most important ones we’ll make. 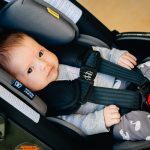 In fact, you legally need a car seat from the moment you take your baby home from the hospital until he or she is big enough to safely fit into adult seat belts. 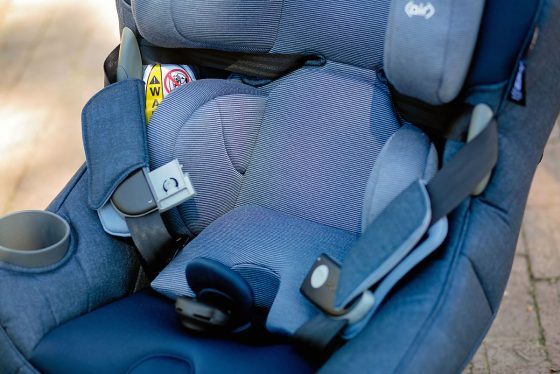 Up until recently, this requirement would have most parents spending hundreds of dollars on infant carriers, convertible car seats, and boosters. But what if you could buy one car seat that would fit your child for as long as they needed to be in a car seat? 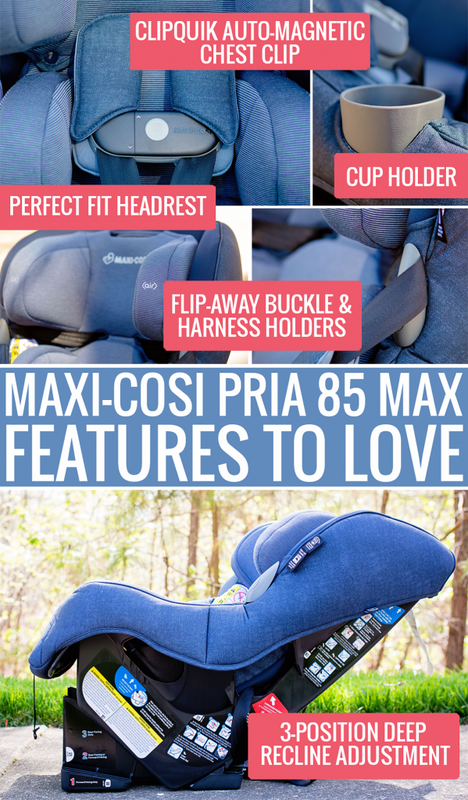 Today we’ll look at Maxi-Cosi’s Pria 85 Max and how it is changing the way we approach car seat safety from 5 to 85 lbs. From Birth to 85 lbs! 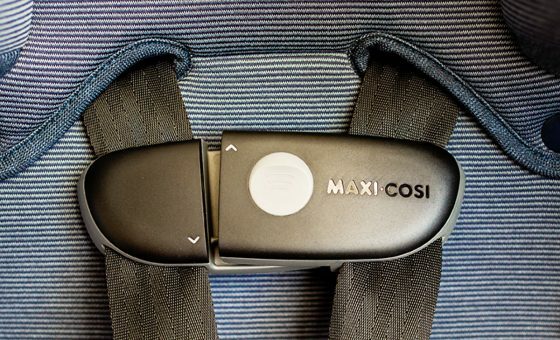 Founded in 2005, Maxi-Cosi recently made its United States debut after years of success in Europe. Maxi-Cosi car seats and strollers are synonymous with a commitment to safety, innovative and stunning design, premium quality, and superior style. More importantly, they are parents too, which means they share the joys, triumphs, and concerns we all have as parents. 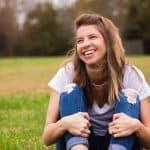 They have first-hand experience with babies who won’t sleep, know the struggle of teething, and have personally witnessed every other milestone that’s ever taken your emotions on the type of roller coaster that only a parent would agree to do again and again. 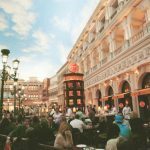 That experience means that Maxi-Cosi can offer products and services that allow the entire family to get the most out of their time together. One of the key features that we look for when shopping for convertible car seats is weight and height maximums, with bonus points for extended rear facing ranges. 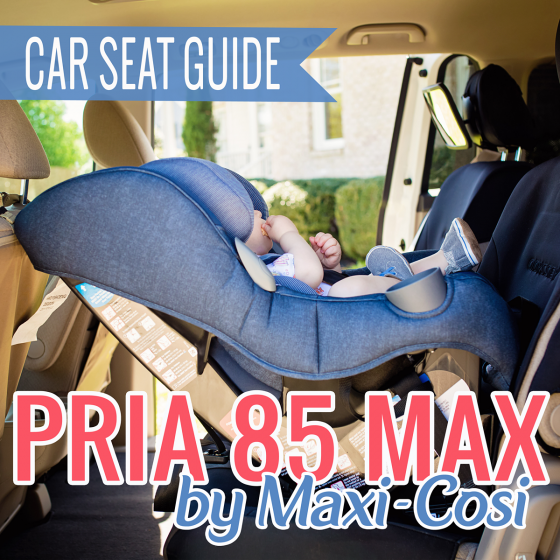 The Pria 85 Max is the largest and has the longest weight usage range of all Maxi-Cosi’s family of car seats for children. In fact, the Pria 85 Max convertible car seat fits babies rear-facing starting at 5 pounds with two removable insert cushions to give smaller babies a snug fit. In most cases, this means that you can drive your newborn baby straight home from the hospital in this seat. 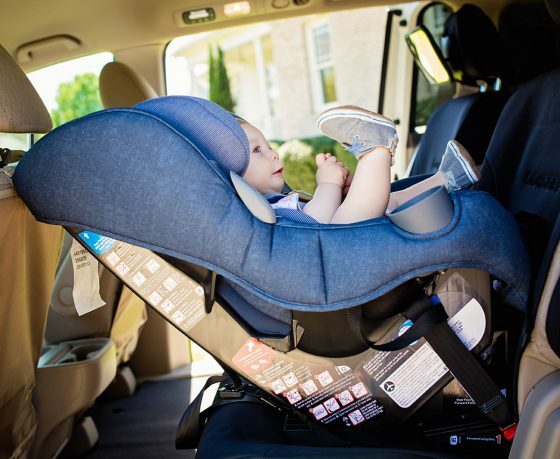 Children can stay rear facing up to 40 pounds or 40 inches (which fully supports current requirements to keep all children rear facing until at least 2 years of age). As they grow, you simply remove the cushions for an appropriate fit. When they’re ready to turn around, this car seat safely fits children from 22 up to 85 pounds and 52 inches forward-facing. 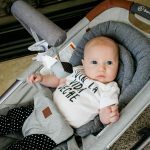 Not only is this the highest weight range offered by a convertible car seat, but we love that you really are getting maximum value out of your investment. 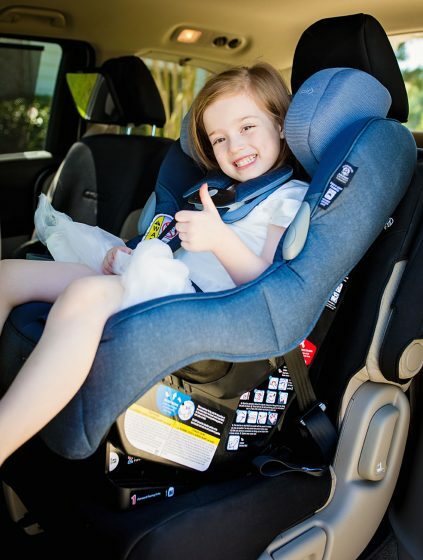 Whether you are using this seat rear or forward facing, both positions will benefit from the safer side impact protection provided by Air Protect® technology which protects your child where its needed most, around the head. 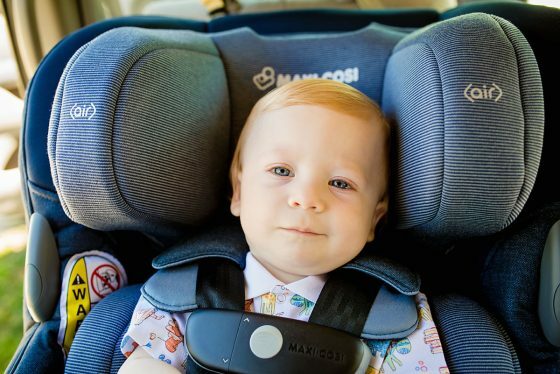 Your child’s safety is ultimately Maxi-Cosi’s top priority. Thus, they’ve developed revolutionary new technology to minimize the risk of injury to your child in a side-impact collision. Air Protect® is specifically designed to protect your childs head in a side-impact collision by instantaneously reducing the impact forces of a crash. Air Protect® does this by diverting the force away from your child and absorbing it into the headrest. Of course, Air Protect® also makes your child’s ride in the back seat a lot more comfortable, especially if they fall asleep while riding like our kids do. You can adjust the headrest (and subsequently, the harness) by squeezing the handle of the headrest and pulling up or down. One of the most unique features of the Pria 85 Max is the auto-magnetic chest chip. 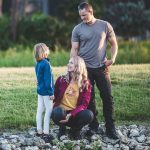 Unlike most chest chips that open with a push/pull approach, the ClipQuik auto-magnetic chest clip opens easily from the front side with just one hand when getting your child out of the car. 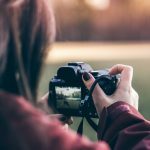 You simply put the palm of your hand under the clip, then use your thumb to move the clip up and open. Truth be told, it took us a few practice rounds to get the hang of it, but once we knew what we were doing, it was a piece of cake. Strapping your child back in again is much easier. The ClipQuik magnets slide together and lock on their own so there’s no fiddling around with car seat buckles, which comes in handy when you’re fighting against a wiggly child. And, as easily as it is to buckle and unbuckle your child using the magnetic chest chip, your child won’t be able to undo it on their own. Its also easier to get your child in and out of the Pria 85 Max thanks to the handy harness holders that keep the harness straps out of the way, along with the flip away buckle. This clever buckle wont get stuck under your baby when getting in the seat or stuck on clothing when getting out. The Pria 85 Max also features an easy to remove cover that comes off without having to uninstall the seat or undo the harness. Furthermore, the seat pad is both machine washable and dryer safe. 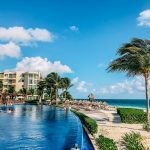 This is an absolute must. 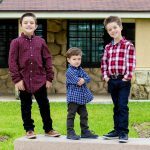 Whether your kid dumps out their entire snack bag or potty training takes a turn for the worst, it’s so important to be able to toss that car seat cover in the wash with minimal disruption to your day. Unlike other car seats, there are no little elastics with corresponding posts to find that secure the cover. 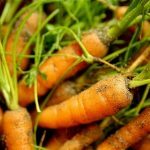 It simply slips around the edges and has a few snaps on the inner layer that keep it secured making it super easy to pull on and off. The Pria 85 Max allows for three recline positions and easy LATCH installation. For the purposes of rear-facing, you can use either position #2 or #3. However, if you’re using this car seat instead of a traditional infant “bucket” seat (birth to 12 months), you’ll want to use the deep recline adjustment (or position #3 as seen below). For continued rear-facing beyond 12 months of age, you can adjust to position #2 for a more upright position that will allow curious toddlers to see a little more of the world. If your child weighs less than 40 lbs, forward-facing must continue using the semi-reclined #2 position. This position is great for sleeping kiddos, but also requires a little more legroom, so you’ll want to be sure to keep your back seat cleaned with some sort of seat protector. If your child weighs over 40 lbs you should use the fully upright #1 position. Installation is quite easy using the lower LATCH anchors rear-facing or forward-facing up to the maximum weight limit of 40 lbs. If your child weighs more than 40 lbs, you should use the seat belt plus tether to install the seat. Be sure to read your manual for complete instructions. 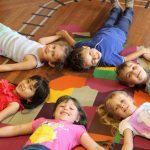 Another thing we love about the Pria 85 Max is that the no re-thread harness offers nine positions, which makes it easy to get a proper fit on just about any sized child. 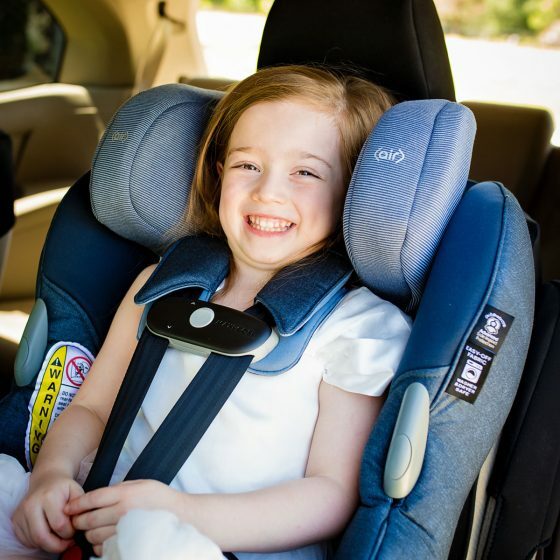 For rear facing, you should position the straps at or below your child’s shoulders. Position the straps at or above the shoulders when forward facing. To adjust the harness, squeeze the handle located behind the headrest and pull up or down. Much like the chest clip, it’s a little tricky at first, but it gets easier with practice. 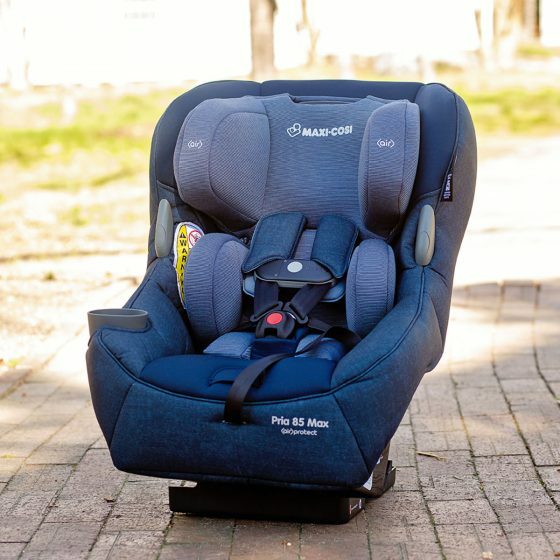 The Pria 85 Max is an incredible car seat that holds tremendous value. Whether you have a baby on the way, or you’re looking to transition your child out of their infant carrier without having to worry about the expense of another car seat for a very long time, this convertible car seat should last the average child an incredibly long time. With six plush fabric options (seen here in Nomad Blue), comfortable fit, and an easy remove cover, this is a seat that both you and your child will love. 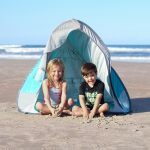 From carseats to cribs and strollers to highchairs, check out our Gear section for all your growing babys needs.